When you dine out regularly there are bound to be meals that make you swoon and others that fill you with regret. You can get your heart broken when a favorite spot closes, or find yourself distraught when a restaurant serves food that is barely edible. Like most things in life, eating in restaurants offers risks and rewards. Here are some of my most recent highs and woes. I fell hard for Suna, the four-month old Capitol Hill restaurant. When it’s sudden closing was announced by The Washington Post‘s Tom Sietsema, I felt a real sense of loss. Why, why, why? Suna was unique in its approach to food, but more importantly offered innovation without requiring a significant hit to the pocketbook. I visited twice and was planning to return in the Spring once the menu reflected new seasonal dishes. Many are speculating on reasons for the closing (location, not enough press, etc.). But what’s the point? Suna is gone and there is no bringing it back. I can only hope that Chef Johnny Spero emerges again and soon (too sad right now for a pun). There is an ongoing discussion on Don Rockwell’s site, for those who want to mourn the loss with others who share the pain. I got my game on at Cedar last May and have been planning to return ever since. What I like about Cedar is its creative contemporary menu, featuring fresh seasonal ingredients from both field and stream. But what really attracts me in addition to the food, is the warm and competent service and cozy atmosphere. When I offer to take charge of finding a restaurant for a group of 35, I immediately turn to Cedar. Owner Mikias Abebayehu couldn’t be more accommodating in meeting our needs. I am confident in a first course that offers one of my favorite dishes in town: lobster and white chocolate soup. 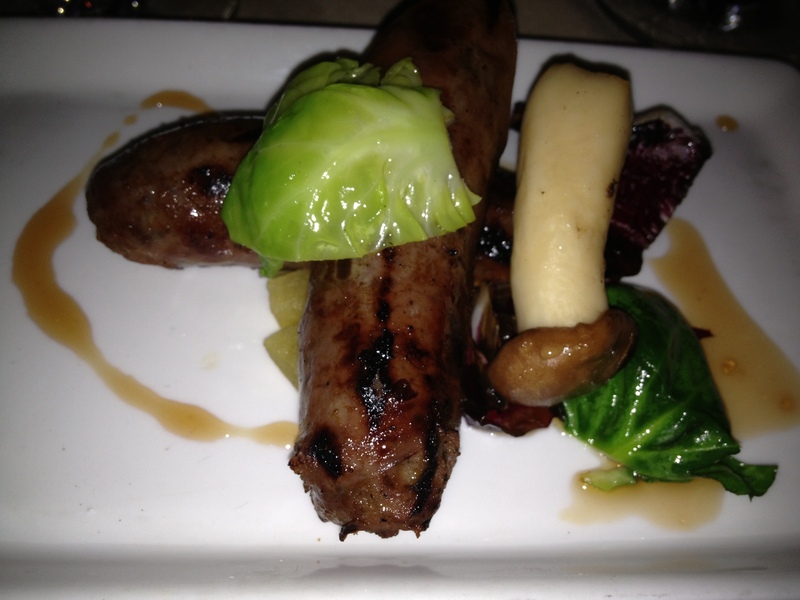 I am a little wary of a second course that includes an option of grilled elk sausage. I can now declare my love for elk, or at least for Chef Aaron McCloud’s elk dish. Serving a large group isn’t always easy, but the staff at Cedar come through with a plate of gluten free breads for one person in our party and an offer of a vegan menu to another, without ever being asked. Each course is presented beautifully and there is praise all around for the flavors. It’s nerve wracking to make a group happy, and since this is a business dinner, my nerves are ratcheted up a notch. I’m grateful to the staff at Cedar for delivering in every way possible. I don’t want to expend too much energy writing about Hanoi House, the relatively new restaurant serving Vietnamese cuisine on DC’s 14th Street. This is indeed a tale of woe. As soon as the food is delivered to the table, I know we are in trouble. 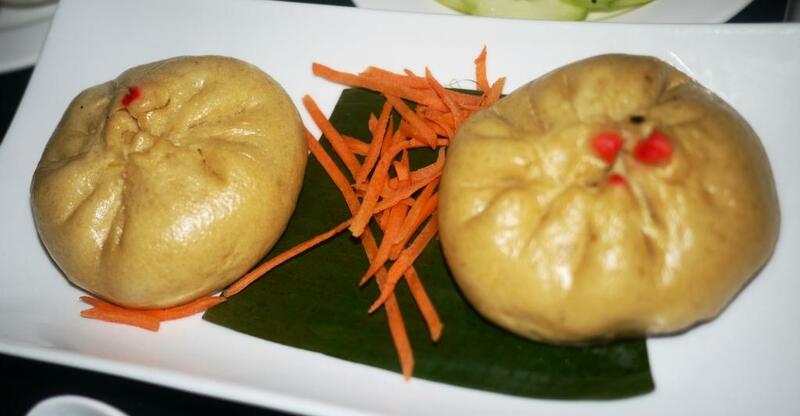 Vegetarian steamed buns look dried out and ordinary, and taste even worse. They are not fully cooked, tough on the outside, dry on the inside, and flavorless. A dish not worth finishing. I have catfish in a clay pot as an entree, which also looks unappealing from the outset. There are a few small pieces of overcooked fish, covered in a thick sauce that tastes more of salt than anything else. My friend has a cabbage salad with chicken. She is delivered a pile of cabbage with a few measly strips of chicken on top. She is given limes and a dish of seasoning and instructed to mix the ingredients together and pour it on the salad. The result renders the dish too salty and ultimately inedible. Vegetable pho is a huge dish of broth with mushrooms and little else. The only passable dish is a vermicelli rice bowl with grilled shrimp. My friend comments that the best part of her meal is the slice of cucumber adorning the edge of the plate. While I obviously cannot recommend Hanoi House for the food, it seems to be a perfectly fine venue for cocktails given its location, appealing decor, and amiable service. I’ve written more than planned. Need I say more? 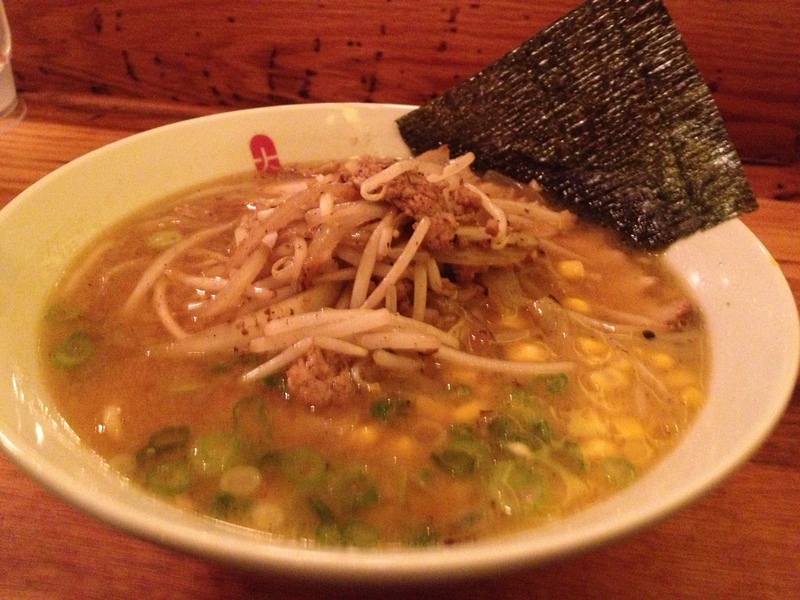 The hottest dish in town these days has to be ramen. When I used to think of ramen noodles, I envisioned a cardboard container, a microwave, and boiling water. Not a lot of flavor but something quick and easy to stave off hunger in a pinch. No longer. Ramen shops are popping up all over. The newest player in DC is Daikaya. Daikaya will soon feature an izakaya* upstairs which will certainly warrant a second visit, if I don’t get there sooner for another tantalizing bowl of ramen. Here’s to letting the woebegone be gone, as we toast to excellence.